I actually made 4 of these trees last year. Pine cones are definitely plentiful here in the south. These trees were so fun and easy to make that I just kept on until I ran out of pines cones. Having five huge Pine trees around my playground at school doesn't help my pine cone addiction. My students last year saw me picking them up and decided it was so fun that before I knew it, I had bags of pine cones. :) I apologize that the photos are not that great because they were taken with my phone. This was before my blogging days, and the only reason I took the photos was to show my students what I made with the pine cones. Here is the tutorial for making these cute little trees. Please keep in mind, that our pine cones this year are not plentiful yet, even after hurricane winds. So I made due with what I could find, and these aren't as pretty. The first step is to cut a piece of cardboard. This is actually from a cereal box. Lovely photo, huh? Next try to find pine cones that are all about the same size. There is a smaller one that I used to fill in a small hole at the base. Using the hot glue gun, just glue securely to the cardboard. Warning......this project uses lots of glue sticks. The next part is like fitting the pieces of a puzzle together. 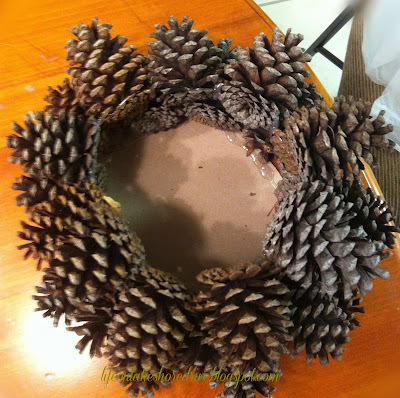 Layer after layer, glue the pine cones using the size that fits best in each place. Here is a side view after three rows of pine cones. Notice the slight hole in the middle. You can easily go back later and fill in the holes with tiny pine cones. At this point, start bringing the cones in some so that the hole is the middle gets smaller as you go up. This is what makes it narrower at the top. You want you inside circle to close in as you go up. Depending on how fast you close the circle in will determine the height of your tree. Almost to the top in the photo below. I've reached the point where I would've preferred to use smaller cones if I had them. You can also trim them back if you need them to fit better. Here is an up close of the tree from last year. Notice how I had smaller cones to work with. I am going to share two more trees from last fall, but be warned...they were taken with my phone. Here is a small one I put on the top of my kitchen cabinets. Mr. Ed was not happy something new was in his secret sleeping spot! I added sparkly ribbon to it for Christmas, and put a few small bows on it. The photo below is one tree that I placed in front of my fireplace and added ribbon to it. Notice the gold pine cone on top. I ran out of small ones and used one that I had sprayed to put in my lanterns. This year, I think I am going to spray a couple of the trees gold for Christmas. If you have followed my blog for any amount of time, you know I like to leave you with my lessons learned the hard way. 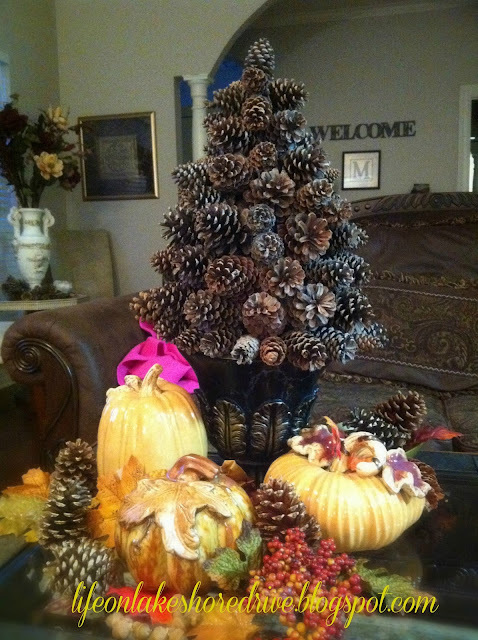 Number one, when you use decorations for fall and again for Christmas, don't pack them up so you can't get to them!! Yes, they are wrapped up and stacked behind mounds of Christmas decorations. I plan on tackling that major project this weekend. Lesson Number 2, don't store your hot glued trees in the garage when your summer temperatures are in the 100s. One tree wouldn't fit in my storage closet, not thinking, I put it in the garage. Let's just say I now have a blob of pine cones loaded with glue. :) I think it was probably the tree in the picture above. I will let you know if I'm able to salvage that project. I also think I will spray a protective coat on the trees this year. I can't wait to see your pine cone trees! Please feel free to email me if you have any questions that I didn't answer in the tutorial. I am always here to help. 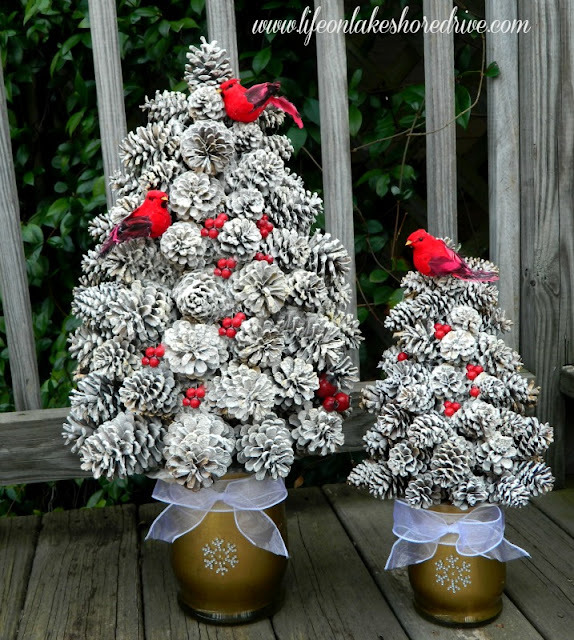 To see more winter pine cone ideas, you can check out my Winter Pine Cone Trees here! The pine cone tree is definitely on my to do list as we have a plentiful supply of cones from our pine trees. Been thinking of lots of crafts to make with them for the Fall/Winter decor months. LOVE THESE! I will certainly be trying this project!How didthat cat get up that high? LOL! I love that you made these without using styrofoam for the base! I've got to start picking them up! Wasn't quite 100 here today but the feels like temperature was 116!!! Ouch! Waiting on a cool front that is coming in this weekend. The high on Sunday is supposed to be 86!!! That's FALL in Texas! Wow Kathy! I will be making this soon! Thanks for the tutorial! I'm loving this! Probably going to have to do one of these myself! Thanks for sharing a tutorial! It came out really nice! Your pinecone tree is simply stunning. I LOVE to create with pinecones, and seeing your darling tree has inspired me to get busy on one for our home. Thanks so much for tutorial. This is a great fall decorating project. Thank you for sharing it with us, I will def. be trying it. We have a lot of pine trees in the woods behind the house, so it's time for a walk! You certainly make is seem easy to do...I'm wondering if I can do it? 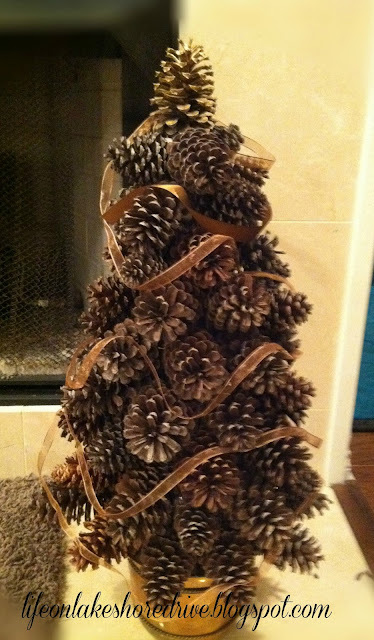 We don't have many pine cones here in Dallas so I would have to go to Michaels and purchase a bag of them to work with. 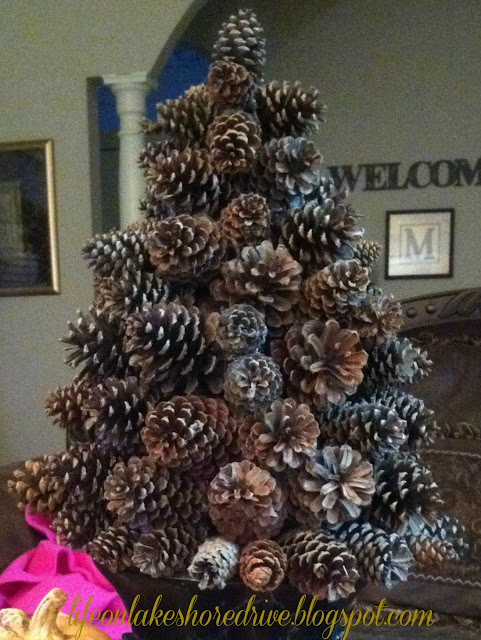 I might try this and paint the tips of the pinecones silver for Christmas. Love your trees! Many years ago when I was a cub scout leader and used pine cones in projects, I remember having to put them in the oven to open them. But, I guess that depends on the type of pine tree you get them from. I'm going to try this especially since you don't need a base or form. Thanks for the great tutorial. Thank you so much for stopping by. Have a great weekend. I live 15 miles from the TX line, so I know what you mean about the heat!! Throw in the humidity and it's awful. At least we know cooler weather is on the way. I thought about using a base, but decided it would be hard to shape it. Can't wait to see yours. Have a great weekend. You are so welcome. You have to make one. It's such a fun fall project. Have a great weekend. Thank you so much for stopping by, and have a great weekend. You can do it!! I remember seeing bags of pine cones at Walmart last year, too! Can't wait to see yours. Silver would be beautiful. Thanks so much for stopping by. Have a great weekend. Thank you and you are so welcome! It's such a great way to decorate for fall. Thanks for visiting and have a great weekend. I love these! Thanks for sharing the tutorial. Just found your blog (and am following now), although you've been a follower of my blog for some time. I LOVE the pinecone tree. Will be trying this one out for sure this fall! Lovin' this idea! 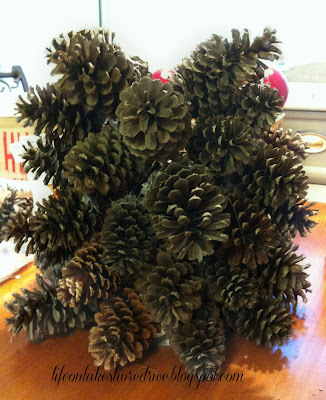 I have been wanting to make something with pine cones (my parents have a ton at their house). Thanks for sharing this! Thank you, and you are so welcome. Have a great weekend. What a fun project! Great tutorial with good reminders at the end! Thank you for sharing this at Rustic Restorations Weekend! oh WOW, this is fabulous Kathy!!! I have always wanted to make one but have been too intimidated! Thank you so much for the tutorial, maybe I'll tackle it this fall! Thank you so much for sharing @ Inspire Me Fridays!! 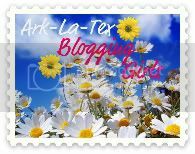 now following your lovely blog! Kathy, this was a great tutorial! You are really good at these!! I would love to try to make one this year! What a wonderful fall project!! Thanks for sharing with my NO RULES Weekend Blog Party! Yes, loving this idea. I have pine cones every year perfect for this! Hopping from G+ party. Kathy, thank you for stopping by Quilts & Other Good Things! 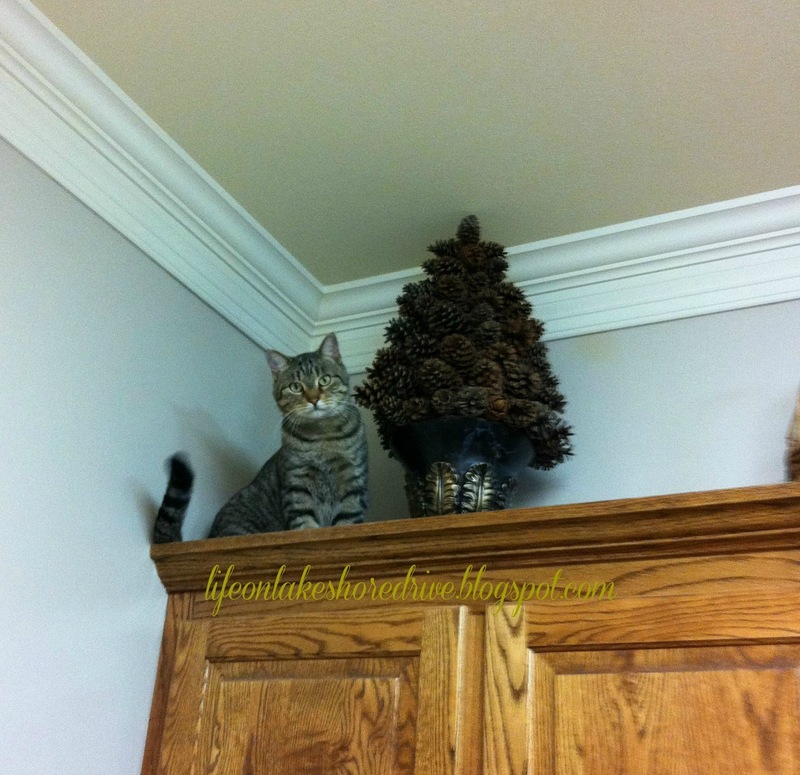 I love your pine cone trees! I, too, have learned the hard way about storing things in hot garages! I also learned when we lived in colder climates the glue things don't do well outside. Sigh! There must be a happy medium! I'm following you, too! I love the trees! So cute. I'm hosting a new autumn link party and would love to have you join! Thank you so much following. I have lots of pine cones. I need to give this a try! Hi Kathy. Love your pine cone tree. This blog hop has been so much fun. Thank you so much for stopping by and following me. I am your newest follower. Hope we can keep in touch. Thank you so much!! They really are easy to make. You can do it. Thanks for hosting a great party. Kathy, I just love pinecone projects. It's so fun to make things that cost so little and are so cute! There are so many things you could do with these as far as decorating them goes. Great idea! I love visitors! Come by and see me some time! I'm trying to get 100 followers before the end of the month, hope you decide to join me too! I love how you can use this for both fall & winter! Cute! Thanks for stopping by for our Pretty Things Party. Hope to see you again next week! I love these because they are natural and gorgeous! Just goes to show ya it doesn't have to be store bought to be nice! Great job! I'm with you, so over summer, want cool, cool weather please. I have to say your pine cone trees are so darling, and such great texture. I also have to say your Mr. Ed is adorable, he looks perplexed something is in his "sleeping" place. My heart goes out to him, his face really says it all. Thanks for sharing your creative inspiration with Sunday’s Best – you helped make the party a success! Thanks for this post, I had to try this one cause I just love anything with pine cones! Turned out great!! Even my husband was impressed. I added walnuts and cranberries to mine for a little but of a color variation. LOVE IT!! Thanks for joining the party at Keep Calm and Link Up! Great job Kathy! What a fun use of pine cones and thanks for the great tutorial. The kitty is too cute. I know what you mean about packing away. I am still looking for a large crow I wanted to use with my Fall decor. I'm sure it's in with the Halloween but not ready to dig through it all. Thanks for sharing with Share Your Cup. I am now following you. Thank you, Kathy! It really is easy. Thanks for hosting. I hope you are having a great week. Thank you! Thanks for the great party, too! I will be there. What a great project! Thanx for sharing at THT. I can see making a few of these for the holidays. I LOVE pinecones and your tree is so awesome. 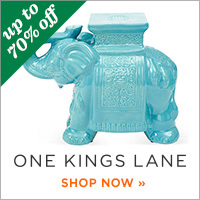 It's a great season-spanning piece of decor. 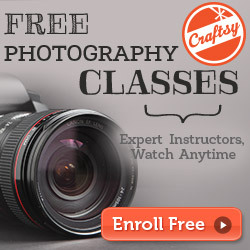 You are a featured STAR today over at I Gotta Create! Thanks so much for linking up! That is a beautiful idea! Thank you so much, and thanks for hosting a great party. I love pine cone trees! This project would make such a sweet holiday accent atop a mantel or in a tablescape. I might even add some red ornaments or glitter snow. I wanted to invite you to share your project on our blog's link party this week. I think it would provide great inspiration to my readers. Thank you for joining Home Sweet Home! Oh! I love this! I can't wait to make it, i have tons of pinecones around my house. I found you on the blog working link and am following now. Though I live in the desert, my kids always manage to find pinecones. This will give me something to do with them! Thanks for joining the party at One Creative Weekend! I hope to see you back tomorrow. Thank you so much! It's such a fun project. Just followed your blog. Thanks for following me. Hope your week has been great! 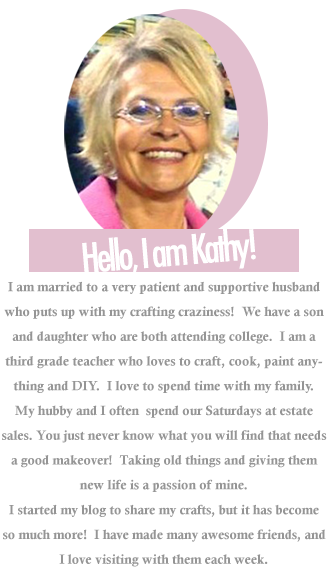 Hi Kathy, Your in the spotlight today! Just wanted you to know & you can pick up a featured button right on the site at the submit/link up page or drop down from about. Need help just let me know & I can email you code & how to. Theresa @ DearCreatives.com Hope to see you again soon & feel free to link up anytime! 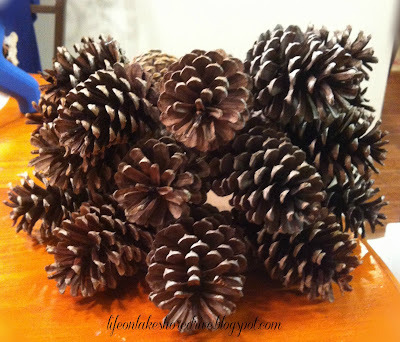 We have a tree that drops pinecones in our yard, and now we have a project idea for using them! Awesome share! Oh wow, those are super cute! And they look easy enough to do, I'll have to try it. Thanks for sharing at The Fun In Functional! Just went outside and collected some pinecones to make this .. it is beyond cute ..
Love this pine cone tree! Such a fun project and looks so nice! Thanks for sharing at Gettin' Krafty! Thanks for sharing! Great tutorial! WOW!! I had no idea they were made that way! Can't wait to make one too! Thanks so much for sharing your trees at Etcetorize last week. I'll be featuring your project at tonight's Make it Great party. 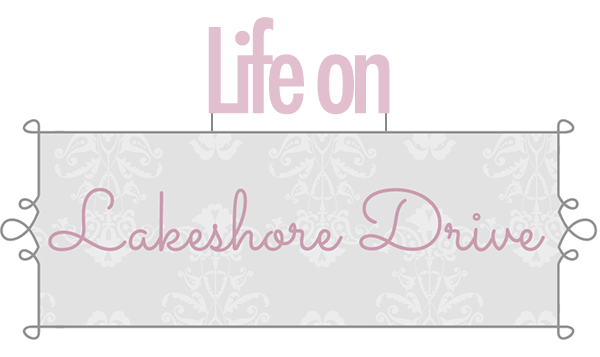 I hope you'll stop by to grab a featured button from the sidebar and link up again! This is a great project! I am looking forward making this! I love your pine and the cute photo with the lovely cat! Thanks so much for sharing. A 10 out of 10. natural, easy, elegant, cost nothing. perfect! Thank you for sharing your wonderful ideas at our linky party at http://www.finecraftguild.com/ & we love seeing you back there this week with another project!! Thank you Kathy-Love the tree's! I just went in search of my pine cones and hit the jackpot! I can't wait to get started on my Christmas project!! What a great idea!! Looks so cool! Thanks so much for sharing at Artsy Corner! Lovely pine cone tree!!! I'd love for you to share this and any other crafts at my link party, Submarine Sunday. I hope you'll stop by and link up! I make similar things using materials from nature. Thanks for the tutorial. I will certainly make some pine cone tree. LOVE THE BLOG. I am heading outside right now to pick up pine cones in the yard. Thank you so much for sharing this. I think this will be my Christmas tree in my classroom this year! Nice job Kathy! I really like this! 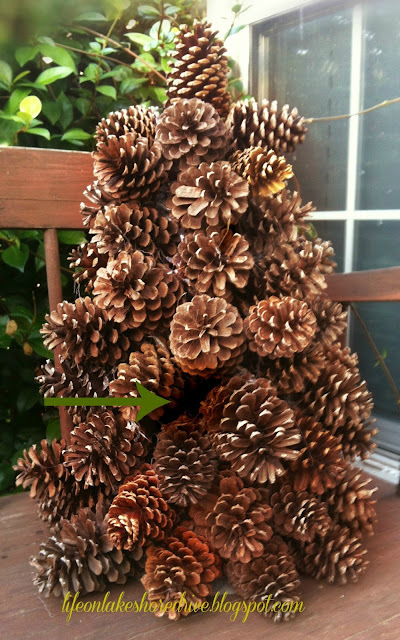 I have looking for a good pinecone project for a long time and now I have found it. Your trees are beautiful. I live right outside of Chattanooga, TN so pine trees and pine cones are plentiful. Can't wait to make one of these trees. Holy cow Kathy....I can't decide whether I like these better for fall or Christmas. What a simple idea, to just stack the pine cones on top of each other and glue them down. I would have been messing with trying to make a cone first out of something and glue them to the cone. You're a genius! Pinning this one too. Great job! What a great idea! Thank you for the tutorial! 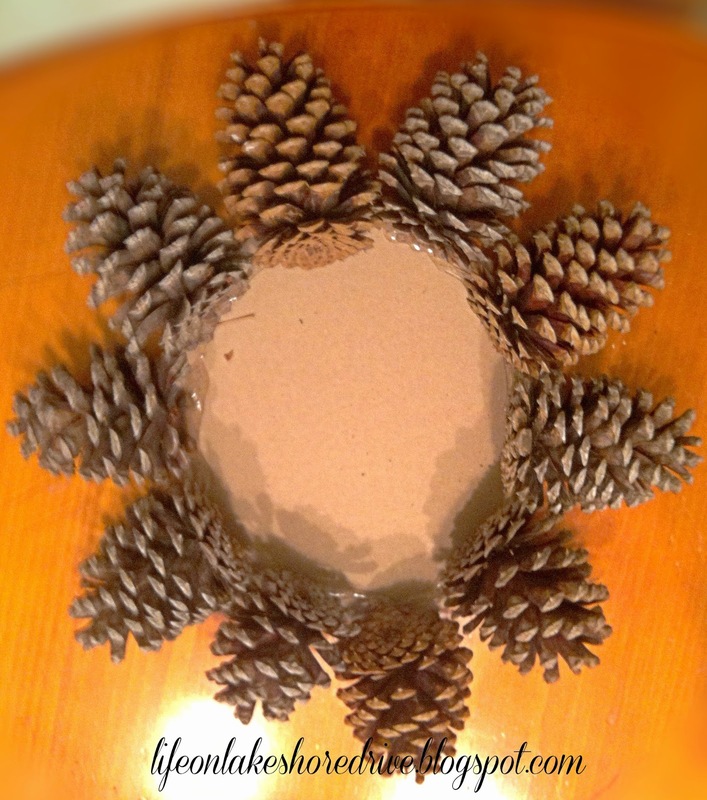 I'm putting together a round up of pinecone crafts and wondered if you would allow me to include your link with a picture. Thanks! I love your pine cone tree and want to make one. Can you please tell me what size of cardboard circle you used? I'm new here but wanted to let you know I love your pine cone trees. 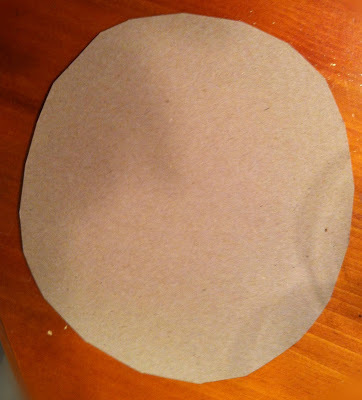 Was wondering on how big your cardboard circle is? I love these. 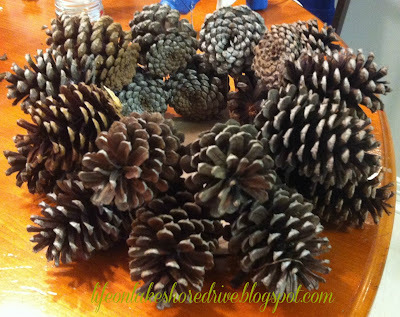 I have some made of Christmas ornaments, but I adore pinecones...I see a project in my future! thanks for posting on the #findingfall link up! These are great! I have a huge stash of pinecones as well, and now have another idea for how to use them. Thanks for linking up to the Finding Fall Link Party! I absolutely love the 🌳 and would make one right now but I just made a beautiful large pinecone wreath. Wish I had seen your tutorial first...Thank you and Merry Christmas. I have some huge pine cones I collected 15 years ago in California. They are just so beautiful that I haven't been able to part with them and would be fun to do a tree with them. It may be big enough to be "the tree" in the house since I didn't want to set up a traditional pine tree this year. Plus I'm thinking that it would be very pretty outside in the snow with white lights on it! So many possibilities!! Hey my name is Cathy, I love your trees, the white,red is my favorite. I will try one this Christmas. How big is the cardboard that you cut out for the big and small one? In love with this post.Thankyou for the info. Please dom downkload the latest apk for free form oue site.